After the madness of Monsterpalooza 2018, we had the chance to grab the gang for a wind down chat to debrief about the trip and talk about what we got up to. It was a fun time, and I hope the warmth of a truly magical few days comes across, as Todd and I were truly humbled at the non-stop kindness and generosity we were liberally soaked with. 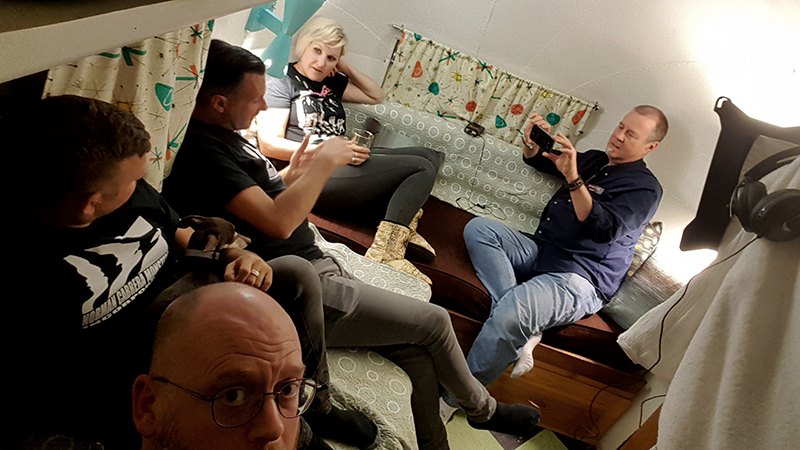 Anticlockwise from bottom: Me, Sam Shuck, Adrian Rigby, Eryn Kreuger Mekash and Todd Debreceni hanging out in the magical trailer I stayed in. Adrian and I met in 1995 when we both travelled out to LA to take a look at the FX scene and see how it worked at the start of what we hoped to be our careers. It was so nice to be back out here 23 years later having been able to have those very careers we so badly wanted. I think that story needs it’s own post, where we spent the day at Optic Nerve studios, on the set of Babylon 5 watching an episode shoot, and seeing the makeup touch ups happening with Greg Funk and Fionagh Cush working their magic. What a great time we had! Anyhow, Todd had this cool banner made up to celebrate, and I’m so excited to share the podcast with you. Click below to stream or download the file. 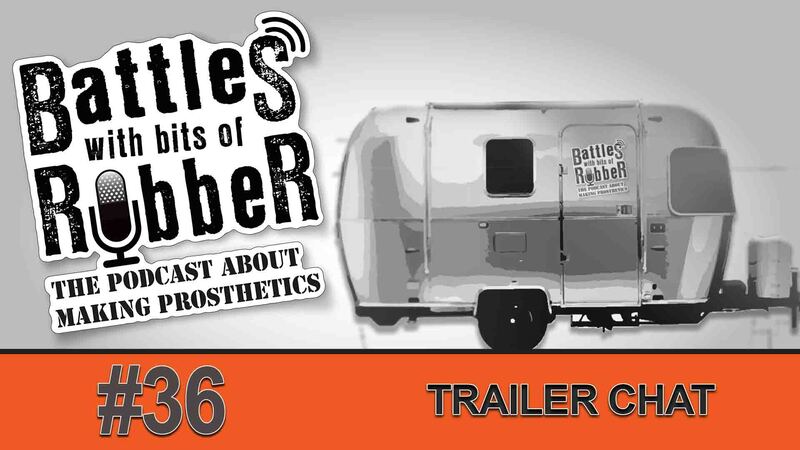 You can subscribe to our podcast, Battles With Bits Of Rubber on iTunes, Spotify, Soundcloud and pretty much all podcatcher apps or platforms. If you want to get in touch with us direct, email stuartandtodd@gmail.com and take a look at our Facebook page. Until next time, keep it bloody!